Ben Aaron is an American-born multi-Emmy Award-winning media personality best known for his co-hosting duties on the talk show Pickler & Ben which premiered in September 2017. Prior to his current role, Aaron headlined the nationally syndicated comedy talk show Crazy Talk and also served as a reporter on the New York lifestyle show New York Live, winning several Emmy Awards for the latter. 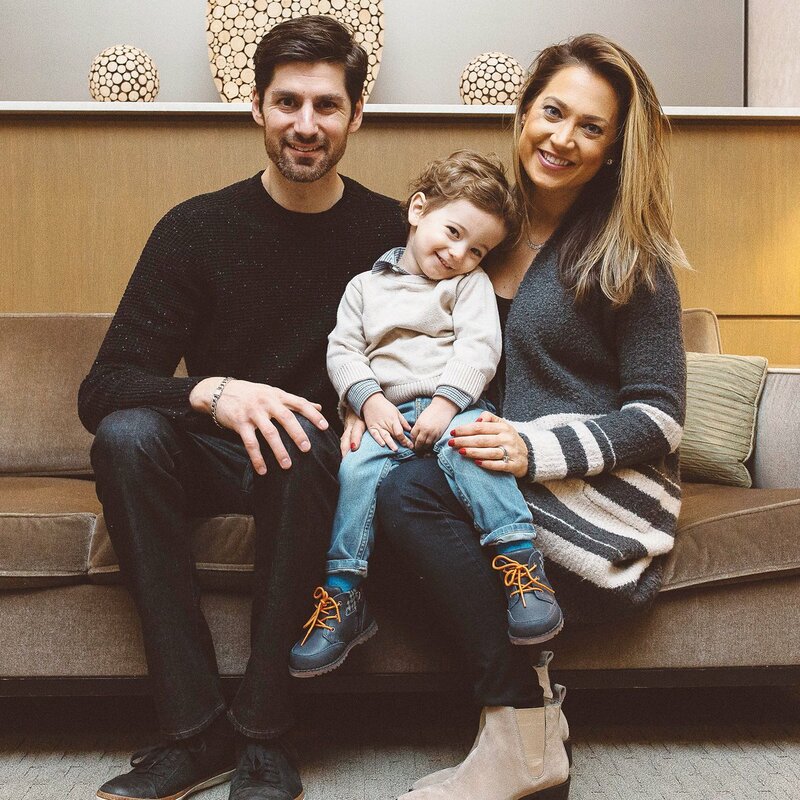 In addition to his brilliant career, Ben Aaron is also famous for being one half of an American TV power couple, the other half being his wife and fellow media personality Ginger Zee. Let’s delve into the private life of the successful TV host, his biography, family life, kids and more. Born Benjamin Aaron Colonomos on September 10, 1981 to Janis Yudelson Salerno his mother and Mark Colonomos his father, this great talk host was raised in Piermont, a village in Rockland County, New York. Information regarding his early education is not available. However, we are in the know that he had his higher education at Emerson College, in Boston, Massachusetts. He started his career as a broadcaster at age 18 when he landed his first on-air gig with Radio Disney. Then he moved to Arizona immediately after college and there he spent 3 years working on radio. He equally worked at TV and radio stations in Los Angeles and San Diego before returning to his native New York. Ben Aaron got his career breakthrough in 2009 when he landed a job with WNBC as an on-camera features reporter on the lifestyle show New York Live. His stint on New York Live was highly successful as it earned him 4 New York Emmy Awards. He equally recorded additional TV credits as a contributor on Extra, Meredith and Today. Also a social media star in his own right, Ben Aaron originated the faux fitness trend dubbed “dance-walking” through a hilarious viral video which has garnered over 3.4 million YouTube views since it was uploaded in April 2012. The talented host currently headlines the syndicated daytime TV talk show Pickler & Ben which he co-hosts alongside country singer-turned-TV personality Kellie Pickler. The show garnered positive reviews and high ratings following its premiere in September 2017. Among other recognitions, Pickler & Ben was nominated for 3 Daytime Emmy Awards in its first season; Outstanding Informative Talk Show Host, Outstanding Hairstyling, and Outstanding Directing in a Talk Show/Entertainment News/Morning Program. As a testament to the popularity of their show, Ben Aaron and his co-host Kellie Pickler presented an Award at the 45th Annual Daytime Emmy Awards held in May 2018. Expectedly, Pickler & Ben was renewed for a second season. See Also: Is Robin Roberts Gay or Lesbian, Who Is The Partner or Husband – Amber Laign? Ben Aaron is currently married to fellow TV personality and meteorologist Ginger Zee. She holds a Bachelor of Science degree in Meteorology from Valparaiso University and is best known to TV audiences for her role as the chief meteorologist for Good Morning America. Ginger Zee is also a weather editor for ABC News and a regular contributor on ABC World News Tonight. She featured in the season 22 of ABC’s dance competition Dancing with the Stars where she finished in the 2nd runner-up position alongside her professional dance partner Valentin Chmerkovskiy. Ben Aaron and his wife are said to have met at a Soulcycle Charity Event in 2012 where they were introduced to each other by a mutual friend. Things proceeded relatively fast between the two lovebirds as they got engaged in August 2013 at Central Park, New York. The couple tied the knot the following year on June 7, 2014. Theirs was an intimate ceremony held by the beachside in the bride’s home state of Michigan. The ceremony was followed by a reception held at The Inn at Bay Harbor located along Little Traverse Bay of Lake Michigan. Ben Aaron has 2 children with his wife Ginger Zee. Their first child was born on December 17, 2015, a son named Adrian Benjamin Colonomos. The couple welcomed their second child on February 9, 2018, a son named Miles Macklin Colonomos. In May 2017, the TV power couple collaborated on their own version of the DIY Network home renovation show which was tagged Renovation Realities: Ben and Ginger.